When attempting to improve safety in a facility, safety managers often start by implementing a safety recognition program for employees. These types of systems are frequently used because many people assume they are easy to implement, and will quickly solve all their safety problems. If implemented incorrectly, however, they can actually cause more harm than good. This is why it is so important to properly plan out, and manage all safety programs with realistic goals in mind. The most important thing to keep in mind when considering a safety recognition program for employees is what affect it will have on the employee’s actual behavior. While you might be attempting to get people to act more safely, most employees will do whatever takes the least effort to qualify for the recognition in the program, even if that is not the safest option. Looking at these types of issues, and understanding that you’ll need to adjust the program as it matures is essential for starting any new safety recognition program. If you’re creating a new safety recognition program for your facility, it is important to understand some of the most common problems that can occur. Knowing these types of issues exist can help you to avoid them, or allow you to be prepared for when they do occur. Of course, each facility is different, so you can expect to run into unexpected issues as well. With proper planning, and flexibility, however, it is possible to create a successful safety recognition program. Fixing the Numbers – The biggest problem employer’s face with any recognition or incentive program is that employees will do whatever it takes to meet their goals. If, for example, you recognize employees for reducing the number of injuries by 20% during the quarter, many employees will simply stop reporting injuries. This is obviously not the intent of the program, so taking steps to prevent this from occurring is important. A safety training video can help enhance overall safety in the workplace. Moving the Problem – A similar concern is when employees will simply adjust their efforts to meet your goals. An example of this would be employees reducing their productivity by 20%, so they can improve their safety record by 20%. In this case, they are actually operating more safely, but it is only because they are moving so much slower. This is not a good solution either, so avoiding this type of issue is also necessary. No Incentive – Depending on how the program is set up, employees may feel no incentive to attempt to achieve the goals set before them. Simple recognition is often not enough to motivate employees to change their behavior, especially if it will require more work from them. Offering an incentive, or making these safety goals a part of their review can be a good way to get people to participate. No Follow Through – Many facilities implement these types of programs with the best of intentions, but then fail to keep them a priority. Employees will quickly realize when people stop getting recognized for safety, or equally disheartening, when everyone is recognized for safety, even when they don’t deserve it. If you’re going to use an employee safety recognition program, make sure you give it the attention it requires to succeed. Lack of Supervisor Support – If the front line supervisors don’t embrace the program, it will be very difficult to run properly. Supervisors are typically going to be the people who are most aware of any safety concerns, and will be able to tell if employees are actually working more safely. If they don’t fully participate, you can expect the program to fail. There are many other potential problems that you’ll have to overcome as well. It is important to know that these types of issues will occur, so you can react to them properly. Whether it is a common problem like those listed above, or something unique to your facility, adapting a program to overcome these types of setbacks is essential for the long term success of any safety recognition program. Reduction in Injuries – By keeping everyone focused on safety, the number of injuries experienced by the employees will go down. Increased Productivity – The reduction in injuries and other benefits can often lead to an overall increase in the productivity of the facility. When people aren’t injured, they can work without interruption and at their full potential. Improved Morale – Employees who know that their employer cares about them will typically have significantly better morale. Improved morale can have positive impacts on other things such as employee turnover, and number of sick days taken. Cost Savings – Employee safety recognition programs are typically very inexpensive to implement and maintain. When you factor in the cost savings of accident avoidance and other benefits, employers can save a lot of money by operating a good safety program. Trend Tracking – Since you’ll be tracking accidents, hazards and other statistics for the program, you’ll have a lot of information available to use for other things in the company. A good safety recognition program will help improve the facility in many ways. Looking for different ways to benefit from the program is a great way to help promote the program to upper management, and get funding for any expenses that are created from the program itself. Once you’ve looked at the potential problems, and benefits, of a safety recognition program, it is time to start planning one for your facility. During this initial phase, don’t be tempted to launch the program too early, or you’ll end up needing to constantly make changes in order to become successful. If you don’t have a well-planned out program to start with, people will lose confidence in it right away, which makes it almost impossible to become a success. To help give your program the best chance at success possible, make sure you are prepared for as many obstacles as possible prior to the launch. It is also important to have the answer to questions upper management may ask when the program is being proposed. Taking a little extra time in the planning stages will help streamline the actual implementation of the program, and also make it easier to maintain in the long run. When planning your program, you need to identify the specific objectives you would like to achieve. Things like a reduction in the number of accidents and injuries, for example, may make excellent starting points. The more specific your goals are, the easier it will be to figure out how you can achieve them using the recognition program. A good safety program should be able to help improve a wide range of different safety hazards. Improve reporting of safety concerns, such as broken or missing safety signs or loose safety tape in the facility. Loose safety tape should be replaced with industrial grade floor tape such as the type found HERE. Conduct an anonymous employee safety survey to see what the employees think about safety. Make improvements on the results each year. Reduce the number of safety infractions by encouraging proper behavior. Increase the use of personal protection gear in the facility. Once you have the list of your goals, you will need to figure out the best way to encourage their accomplishment. As mentioned above, the danger with any goal is that employees will attempt to work around the system, just to get the recognition. With this in mind, you need to figure out how to measure the progress in a way that will provide accurate results. Watching out for anyone who is attempting to ‘game the system’ is also important to help keep everyone honest in the program. Once you have identified the goals of the program, and how you will measure their success, you need to figure out exactly what types of recognition will be given to employees who meet their goals. The program relies on recognition as the incentive for the employees to improve the overall safety of the facility. With this in mind, you need to figure out what types of things will best motivate your employees. Public Recognition – Recognizing an employees (or an entire departments) accomplishment in a particular safety area can be a major motivator. Announcing the accomplishment to entire company at an annual meeting, for example, may be something some employees really strive for. Monetary Awards – For other employees, the only type of recognition that they care about is the kind that comes in their pay check. Offering cash bonuses can be a great motivator, as long as you take care to avoid any of the common pitfalls of this type of reward system. Performance Reviews – Having safety goals be an important part of the employee performance review process is a great motivator. When people know that they will be evaluated on these tasks, they are much more likely to take them seriously. Time Off – Offering people an award of a paid day off of work is a great motivation. Showing people that when they are safe at work, they can enjoy their good health doing what they enjoy at home can be an option for many companies. Finding out what types of recognition and motivation works for your facility can be difficult. May companies choose to offer a wide range of different options to their employees. You can choose to either let employees to earn the recognition choose what award they would like, or you can assign different types of recognition for different activities. Finding what works best for your facility can be a difficult process, but it is well worth the effort. For many safety managers, the hardest part of launching a safety recognition program for employees is getting it approved by upper management. These programs are often seen as just an unnecessary expense, which won’t produce any real benefits. When preparing a presentation, it is key to show the management team that this program will not only improve safety, but over time it will actually save money. The reduction in injuries, avoiding fines or penalties by remaining in compliance with safety regulations, and the increased productivity will all add up to saving the facility a significant amount of money. When presented properly, management can easily see the advantages associated with running this type of program. Once a safety recognition program has been approved, it is time to begin the implementation process. Implementation is not something that can be done immediately, however. It is important to prepare the employees for this change, and let them know what it expected. Offering training classes, and meetings to explain why the program is being put in place, and what types of things they can expect to see is very important. For most facilities the full implementation may take several weeks or even a month to complete. By taking the necessary time to ensure everyone is trained, and knows what is expected of them, it is much easier to have a successful launch. When telling the employees about the program, make sure you let them know not only what is expected of them, but also what types of monitoring will be in place to help prevent people from playing with the numbers or gaming the system. By being up front with the employees, and letting them know that you’ve taken these types of things into account, they will be less likely to attempt these types of things. After a program has been successfully launched, you will need to perform constant evaluations of how the program is doing. Gathering information about how employees are responding to the program, as well as what types of safety improvements the facility is gaining will help you come up with ways to make improvements. Adjust for Facility Changes – If your facility makes a change, such as updated machines or making a new product, it may be helpful to adjust the safety program as well. Employees Gaming the System – No matter how much effort you put into it, some employees will always be looking for ways to game the system. When this occurs, simply identify what they are doing and make changes to prevent it from continuing. This will not only fix the problem that these employees are causing, but over time it will also discourage this type of activity. 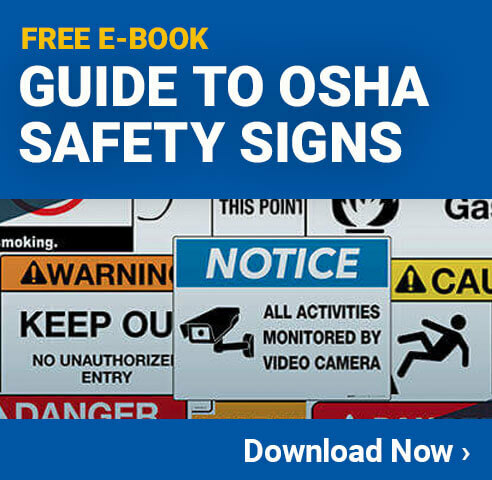 New Goals – If your facility struggled in a particular area during an OSHA inspection, you may want to make changes to the safety program to put more stress on that particular area. Identifying the needs of the facility, and adjusting the program to reflect those needs will help keep the program relevant. Just Because – Sometimes it is good to make small adjustments just to keep employees focused on the program. This helps to ensure they will be paying attention to safety, and will keep them from losing focus. Whenever considering the use of a safety recognition program for employees, you need to remember that this isn’t something you can just plan out and implement over a weekend. You need to identify any potential problems you will run into, and weight them against the possible benefits. You’ll then need to plan out the entire program, get it approved by management, and finally begin the process of implementing the program. This type of thing can take weeks or even months to properly complete, but in the end, it will be well worth the effort you put into it.